Weight: (2.9 oz) Lightweight, compact and portable: perfect for travel on planes, trains, etc.Dimensions when folded: 7 x 1" x 1""Non-skid cushioned pads and can be used anywhere like your desk at hom.. Suitable for smart phones, PDA, GPS, MP4, Camera, etcSuit for any kinds of place like windshield, dash board and so on360 degree rotating: horizontal or vertical Easy to adjust to any angle that you w.. Replacement usb cable for samsung galaxy tab..
With 2.4G technology working distance can reach to 8M-10M giving you a more comfortable, convenient and exact effect than the traditional FM radio wireless mouseAdopts infrared technology to ensure sm..
Aluminum material iPad / Samsung Galaxy / Tablet PC Standwith Carry Bag for outdoor useHeavy duty up to 2kg because this is mateltwo different position for you to select your table pc angleFolded Size.. Product Name : Grommet Cable Hole CoverFit for : Desktop ComputerMaterial : Hard PlasticColor : BlackTotal Size : 6.3 x 1.7cm / 2.5" x 0.7" (Dia*H)Mount Hole Dia : 5.3cm / 2.1"Hole Size(Approx.) 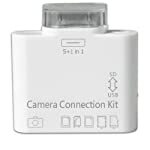 : 3.2..
6 light camera latest upgrade USB version for the integration of the microphoneMulti-functional base meet your various requirements.All cameras have functions in this one.Good gifts for employee benef.. Laptop or Netbook Accessories such as, Mouse, Keyboards, Cables, USB accessories, Fan, Hubs, extension, wifi dongles, bluetooth dongles and etc.